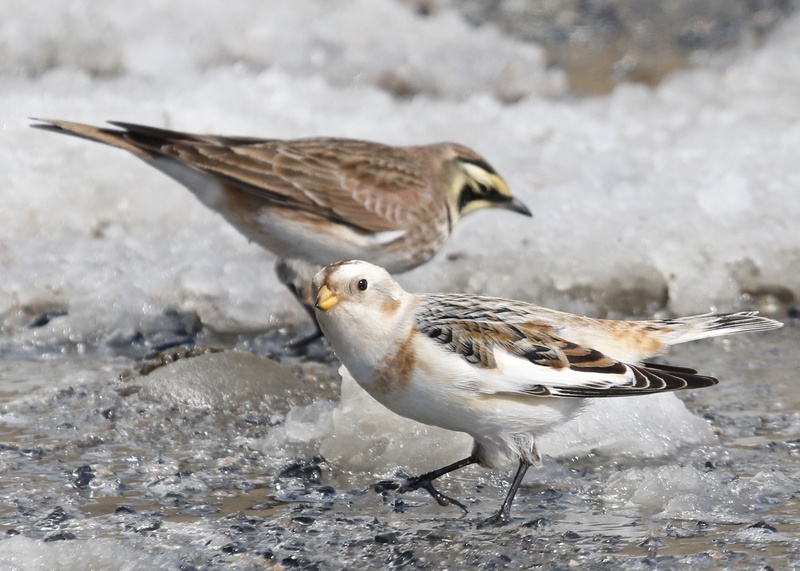 One of the best things that happened while we were there, however, was running into a couple of birders that had recently been to Piermont Pier. Neither Karen nor I had ever been there, so we were intrigued. 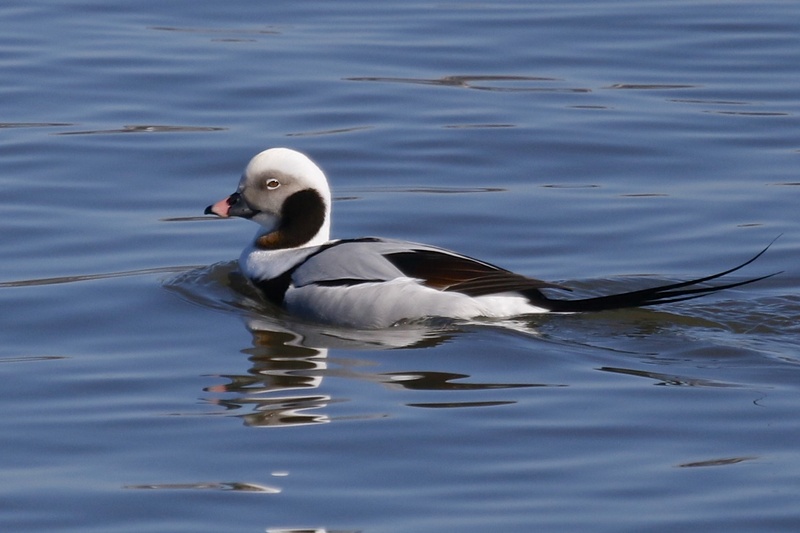 They showed us good photos on their cameras of Long-tailed Ducks and mentioned seeing Canvasback, Common Goldeneye, and Ruddy Ducks. After stopping for a sandwich for lunch, we headed out to find Piermont Pier, which is a great location. The pier, which stretches about a mile into the Hudson River, was built in the 19th century to accommodate river traffic and used during World War II as an embarkation point for troops heading to Europe. 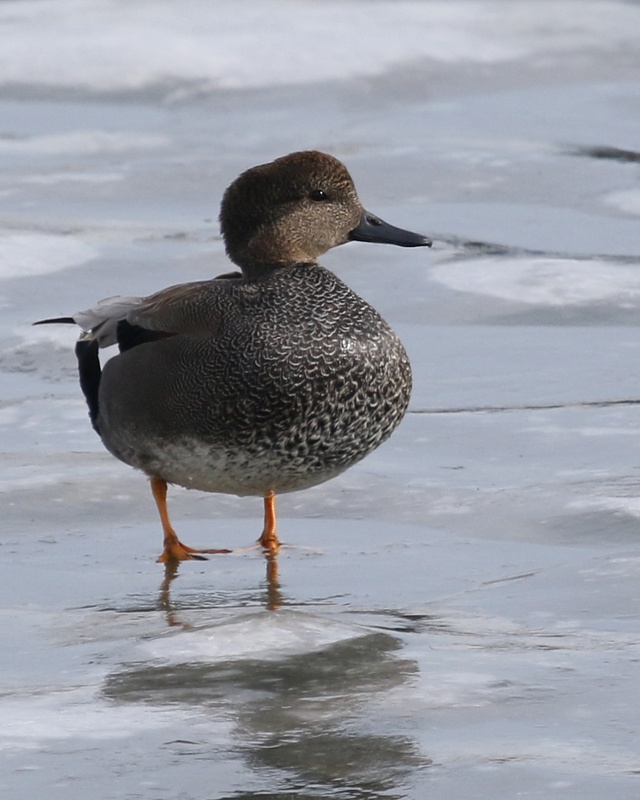 It’s a nice walk to get to the end of the pier, where we got great looks at a single Long-tailed Duck as well as many Canvasback and Common Goldeneye. 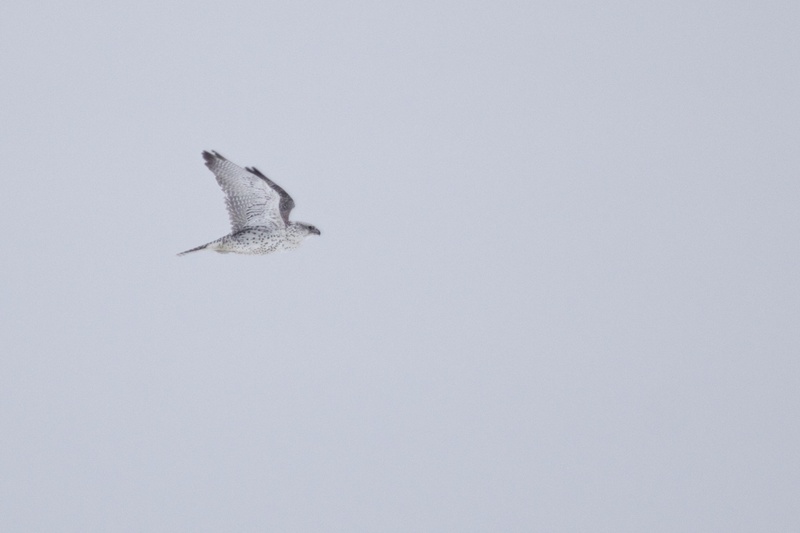 We did not locate any Ruddy Ducks but we did see three Bald Eagles riding the ice floes on the far side of the Hudson River, and with the help of a local birder named Drew, we were able to see a female Peregrine Falcon in its nesting box on the Tappan Zee Bridge. We also added 5 species to our list for the day, bringing our total to 41. What a super day of birding! 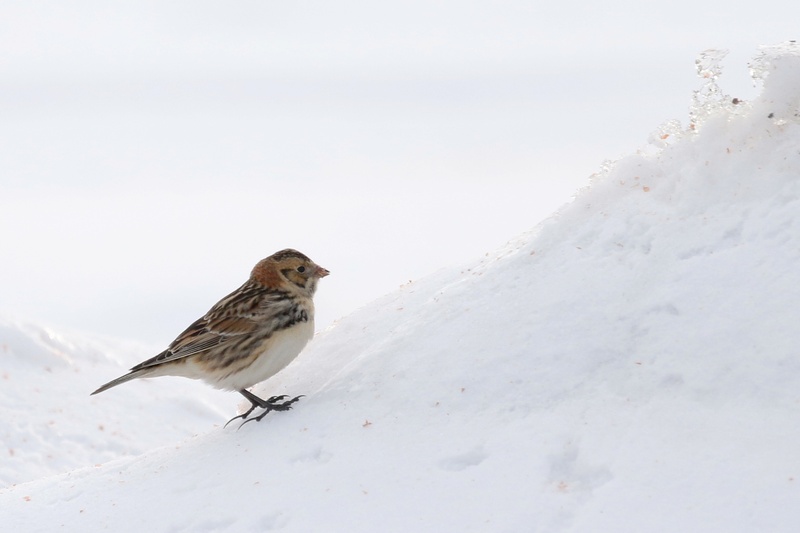 I would recommend either of these locations to anyone who is suffering from cabin fever and would like to see some good birds. 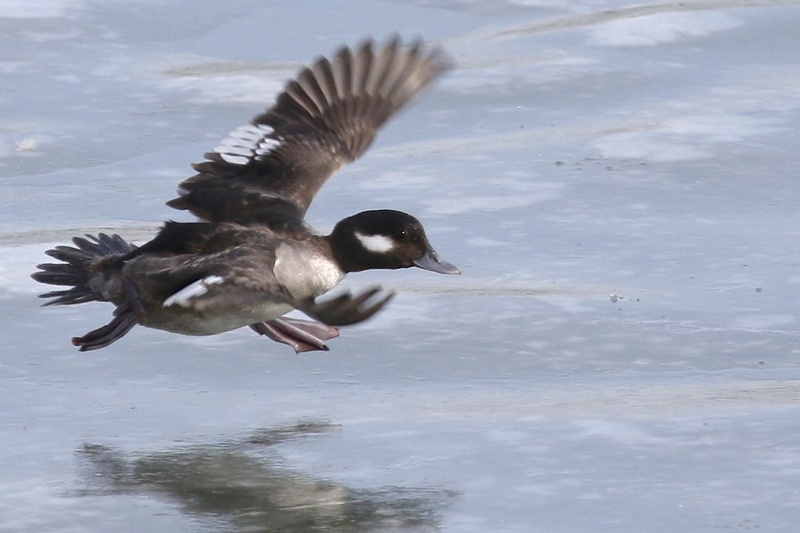 I shot this female Bufflehead taking off on the ice at Edith G. Read Wildlife Sanctuary in Rye last Saturday, and I was pleasantly surprised by how much I liked them. Though the light never seemed very good that day, I feel like I got a good exposure on these, showing the details of the birds head pretty well. 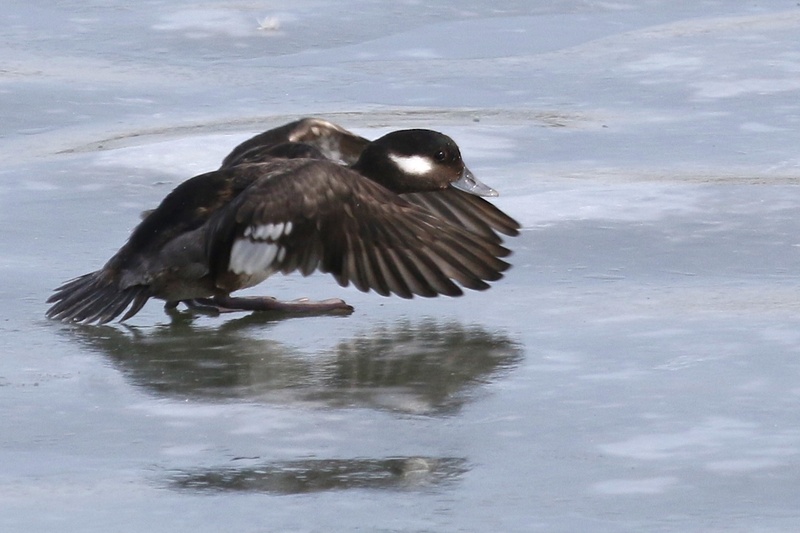 The bird made an icy landing, quite close to the pier, which I watched but didn’t photograph. 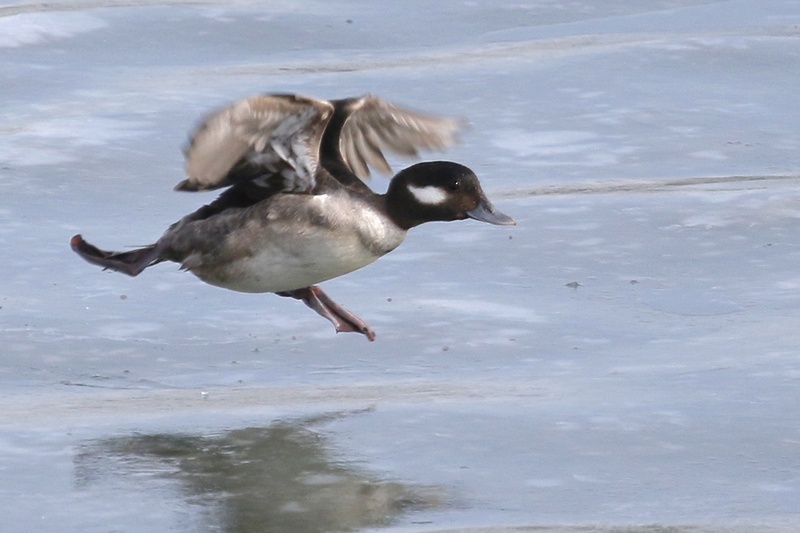 I took some photos of the bird perched (one of which I posted on Saturday) and then got the following shots of the bird as she took off from the frozen Long Island Sound. I don’t have much to say tonight – I ran around the black dirt today, just trying to get some photos. The weather was much more accommodating, with temperatures creeping up into the low 40’s; a huge change from what we’ve been having lately. 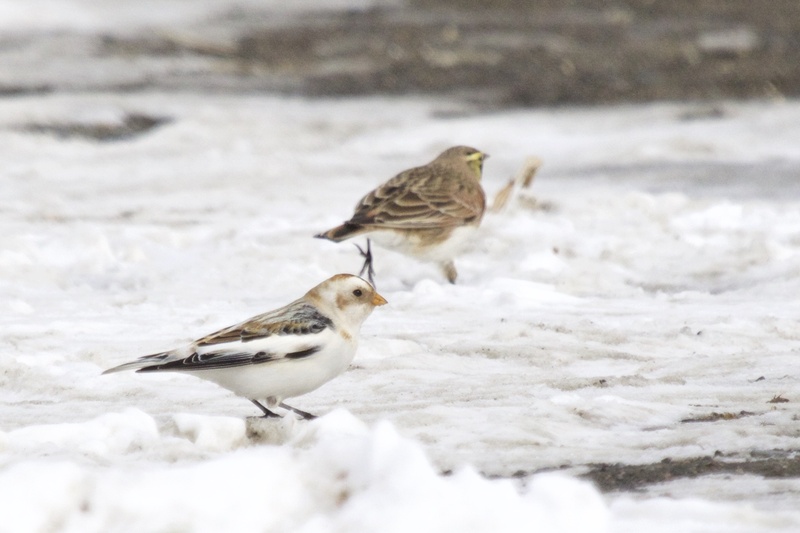 Birds were still on the scarce side, but I got lucky with some Snow Buntings and of course finding a Short-eared Owl on the side of the road never hurts. This extended cold snap has made for some difficult birding. The obvious reason is that the cold has made it uncomfortable to be outside for extended periods of time, but this I can handle. What I can’t handle is staying out in this cold for extended periods of time and not getting birds. 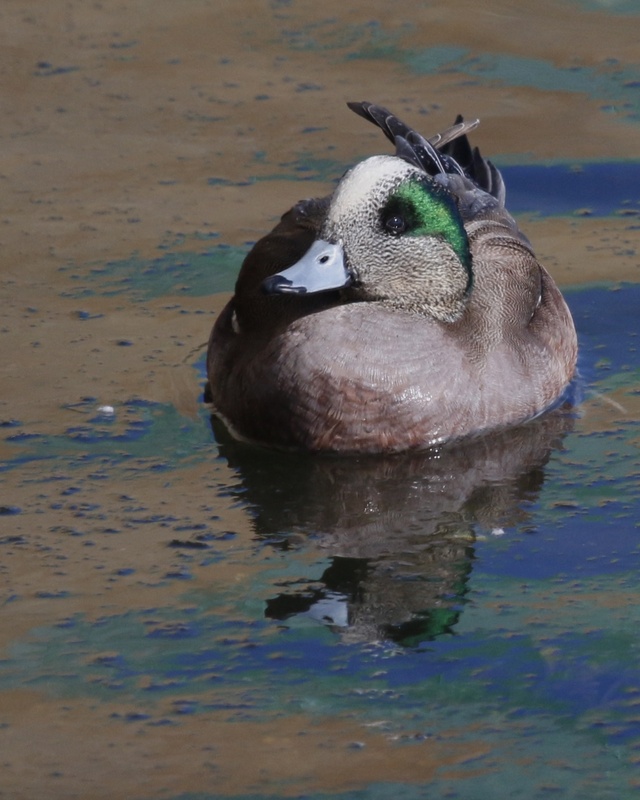 Birds have been pretty scarce at the spots I’ve visited in Orange County this week, so with that in mind, I headed to the coast this morning to see if I could do any better there. The answer is a resounding YES! 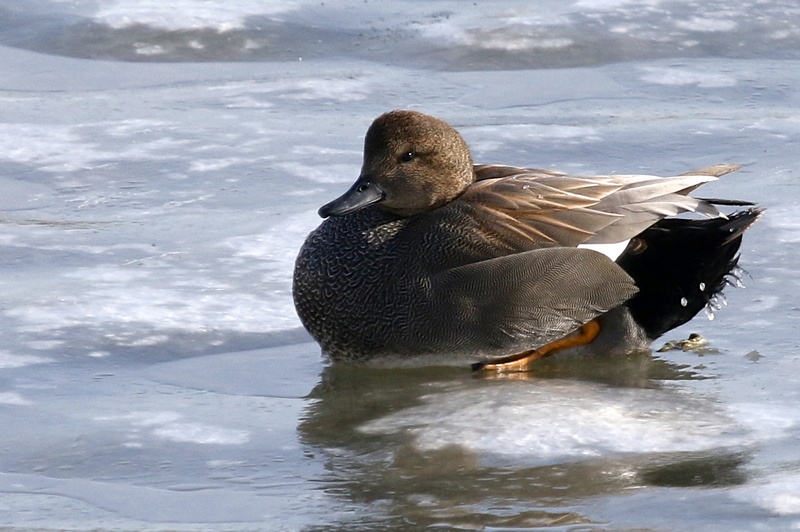 I got an early start this morning and birded the Edith G. Read Wildlife Sanctuary and the Rye Town Park and Beach. I finished the morning having seen 44 species, which for me is pretty good at this time of the year. 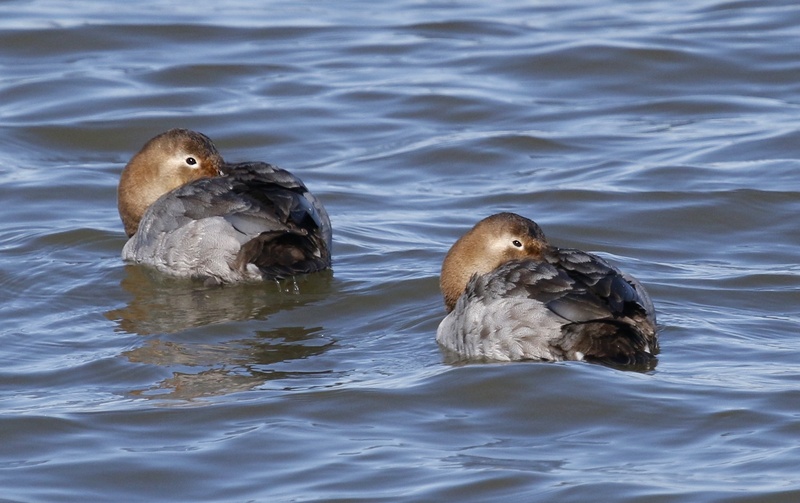 Highlights for me included a half dozen PURPLE SANDPIPERS and 14 different species of waterfowl including distant but good looks at one my favorites, Long-tailed Ducks, of which I saw close to a couple dozen. I also did better with raptors than I have in Rye in the past: I had a Red-tailed Hawk just as I was getting off the highway, and then an adult Bald Eagle, a Sharp-shinned Hawk, and a pair of Red-tailed Hawks at the sanctuary, and finally, I had a Turkey Vulture as I was getting back onto the highway heading home. It takes just over an hour to get to Rye from Goshen, which is really not too bad at all, and it’s definitely worth the trip. Brant are expected at this location, but for some reason I have always missed them until today. Edith G Read WS, 2/21/15. 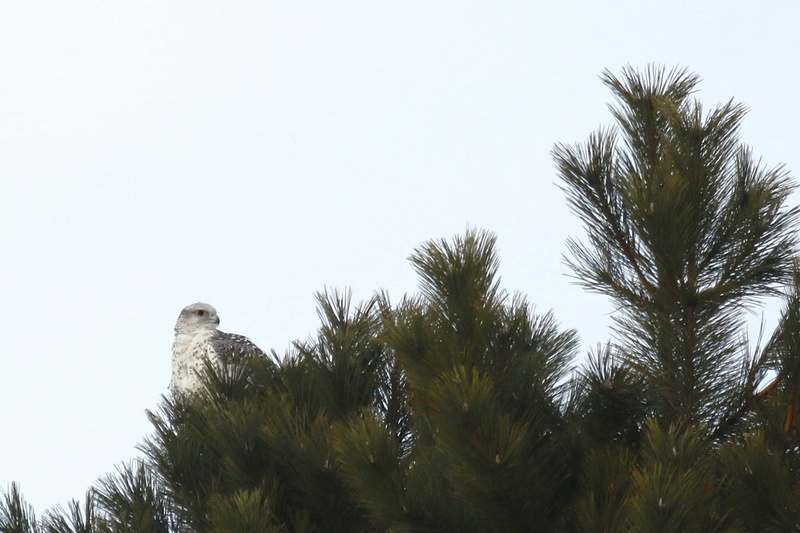 I finally caught up with the Ulster County Gyrfalcon again this evening. I got really good looks at the bird as it perched in an evergreen briefly on Bates Lane before heading in the direction of Old Fort Road. This is just a super bird that I feel very fortunate to be able to see at all, nevertheless so close to home. The down side is that photos were a bit tough – by the time I saw the bird, the gorgeous afternoon light was gone. It had clouded over a bit as it was getting late, pushing 4:30. Regardless, my day was made! On my way home, I went to Lippencott Road to look for waterfowl. 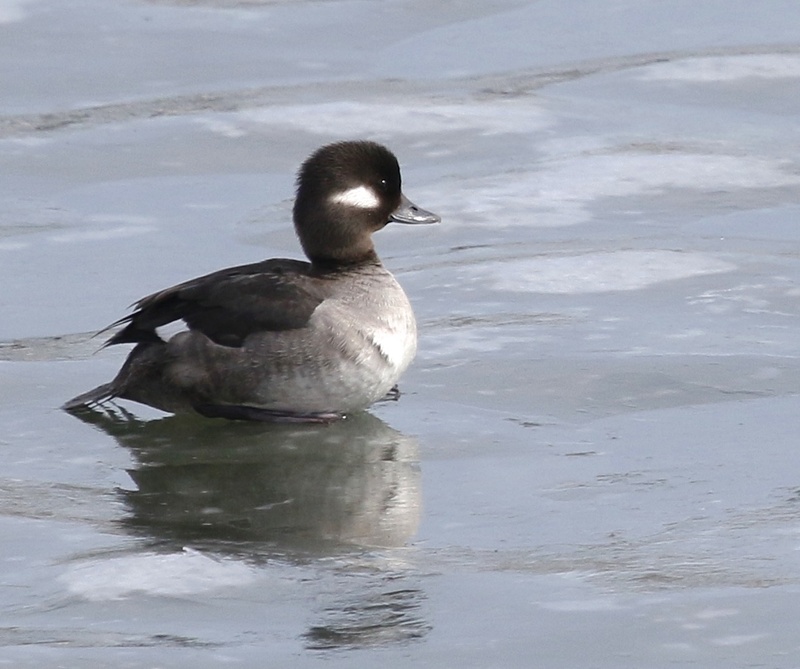 During a brief visit, I saw: Common Goldeneye (8), American Black Duck (5), Common Merganser (6), Hooded Merganser (2), Canada Goose (45), and Mallard (10). 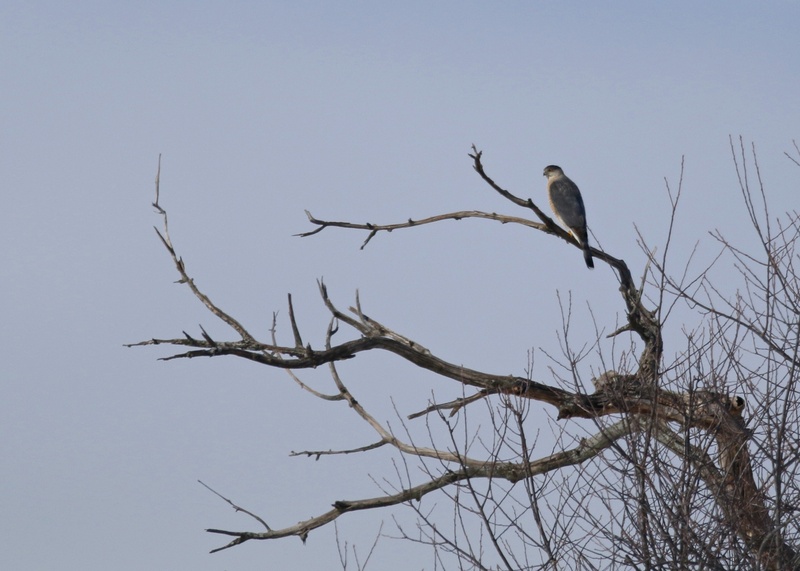 I also had a Cooper’s Hawk on my way over and an adult Bald Eagle perched on the ice in the river. As a side note, I was happy to see that the number of birders out for the Gyrfalcon appeared to be down a little bit this evening (which may have been simply because it was so late in the day). If you go for this bird, PLEASE be courteous and aware of the locals. I have gotten some feedback that indicates that Gyrfalcon Circus might be wearing thin for some folks, so I think it would be helpful if everyone put there best foot forward while enjoying this fabulous bird. I haven’t posted in nearly a week for a couple of reasons. The biggest reason is that I didn’t do any birding this past weekend. We went to the Poconos and spent most of the weekend inside, by the fire, enjoying being with family. The other reason is, when I have gotten out it hasn’t been very productive birding. 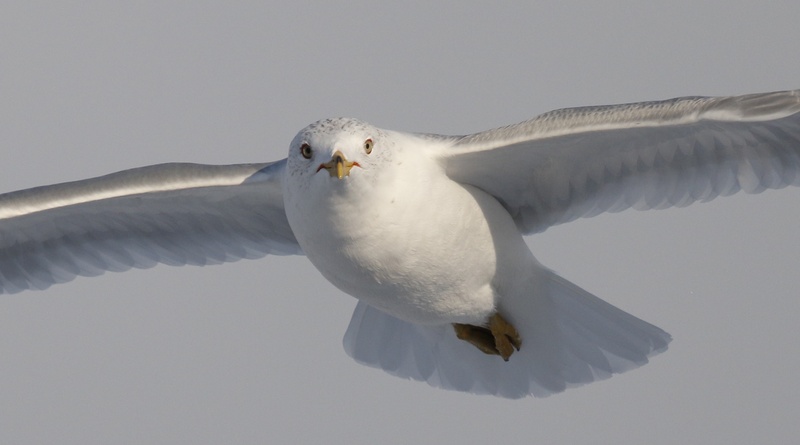 I went to the waterfront in Newburgh last Thursday to try for gulls. It was a cold but beautiful night with nice light with many gulls to sift through. 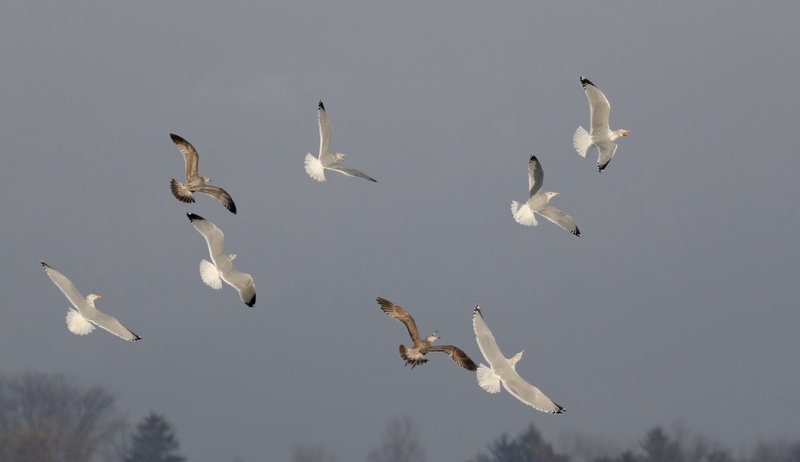 Unfortunately, I was unable to to locate any gulls other than the expected Ring-billed, Herring, and Great Black-backed Gulls. 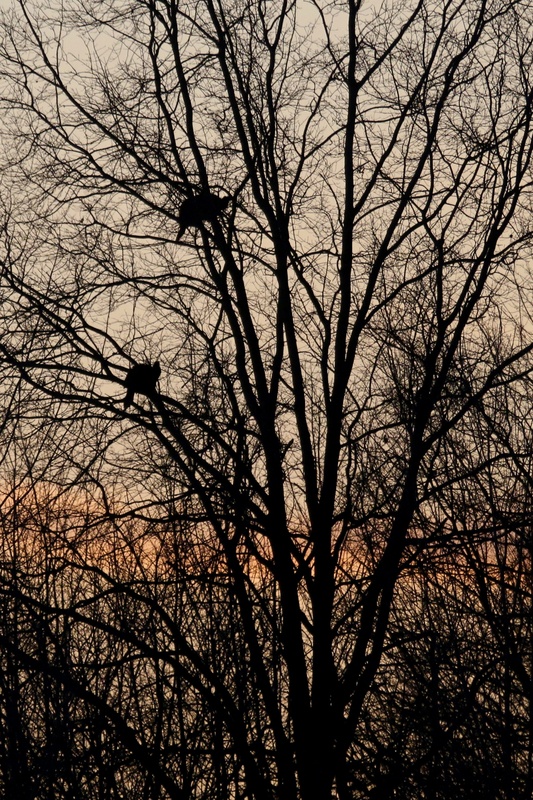 I also had two distant adult Bald Eagles that night. Last night, I got hung up and work and I didn’t make it out to the Liberty Marsh until just before sunset. On my way I made a quick stop near Rudinski Lane where I saw some smaller birds congregating. 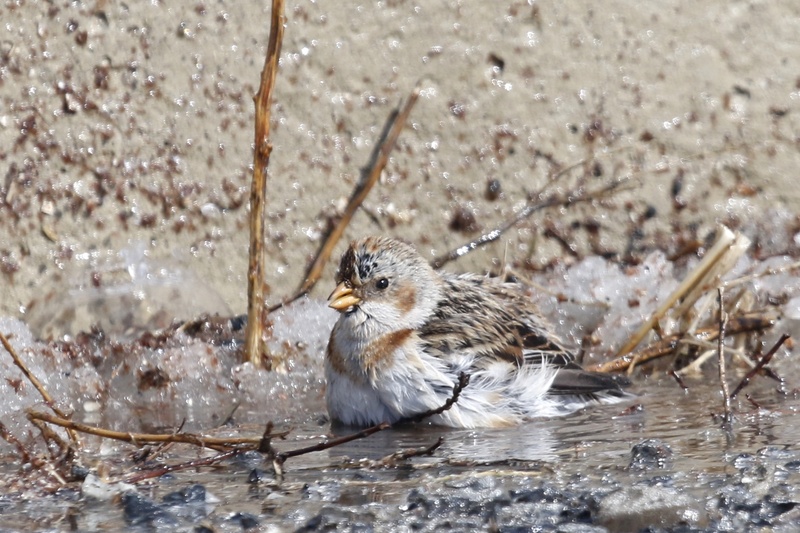 It was a flock of Horned Larks, several American Tree Sparrows and Song Sparrows, and a couple of Mourning Doves. At the viewing platform I alternated sitting in my car and getting out because it was so cold. I had a single Rough-legged Hawk perched in the distance, a couple of Red-tailed Hawks, and a red fox a couple hundred yards north of Oil City Road. 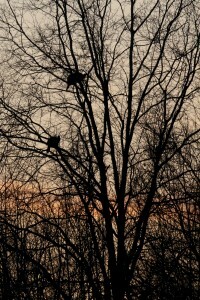 I left well after sunset and had not seen or heard any owls. And tonight, I went back up to Wallkill to go for the Gyrfalcon. It was a beautiful night and I was hoping to maybe get some photos. I arrived at Old Fort Road and there were no cars, so I knew the bird couldn’t be present. 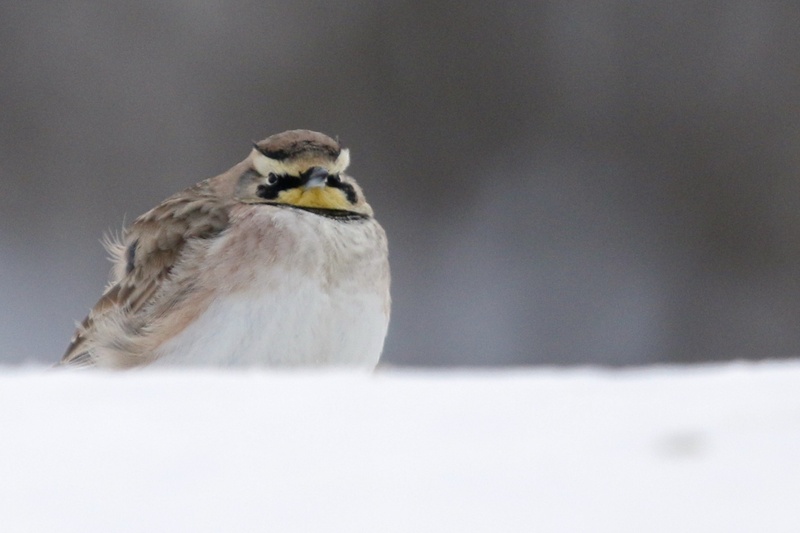 I made a quick call to John Haas, who I had passed on my way there, and he informed that the bird had been located nearly 6 miles away from Old Fort Road. I tried but failed to catch up with the bird, so I headed over to the Shawangunk Grasslands NWR to see if I could do any good over there. 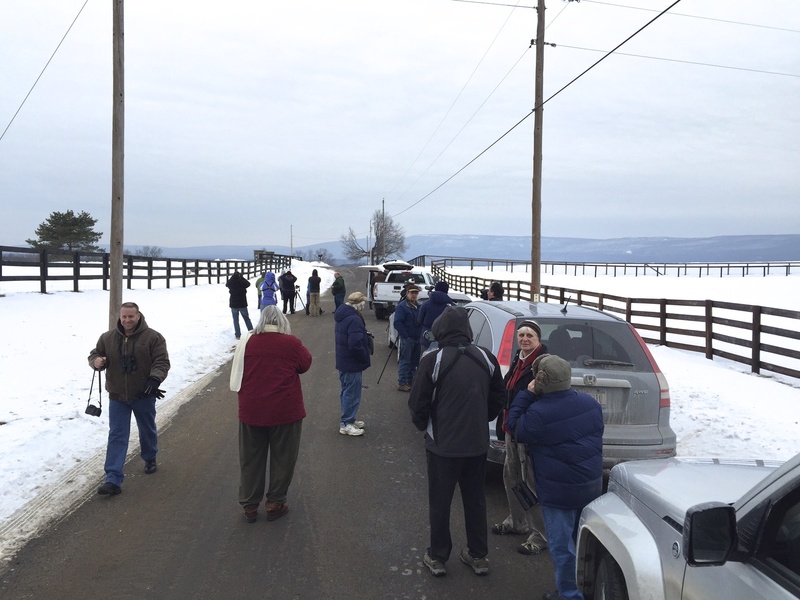 I met a birder there named Joe Chernek and we enjoyed seeing at least three Red-tailed Hawks, one dark morph Rough-legged Hawk and a possible distant perched light morph, two Short-eared Owls, and a first for me, seven Wild Turkeys perched in the trees that border the refuge on the south. 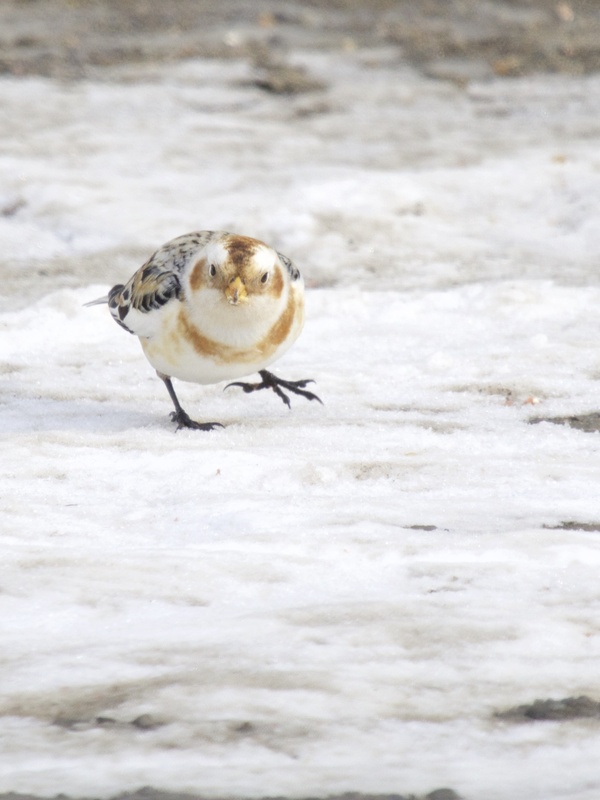 This past Sunday, I finally got my first Snow Buntings of the year. I know that folks have been seeing them throughout the black dirt region, but I somehow kept coming up empty. 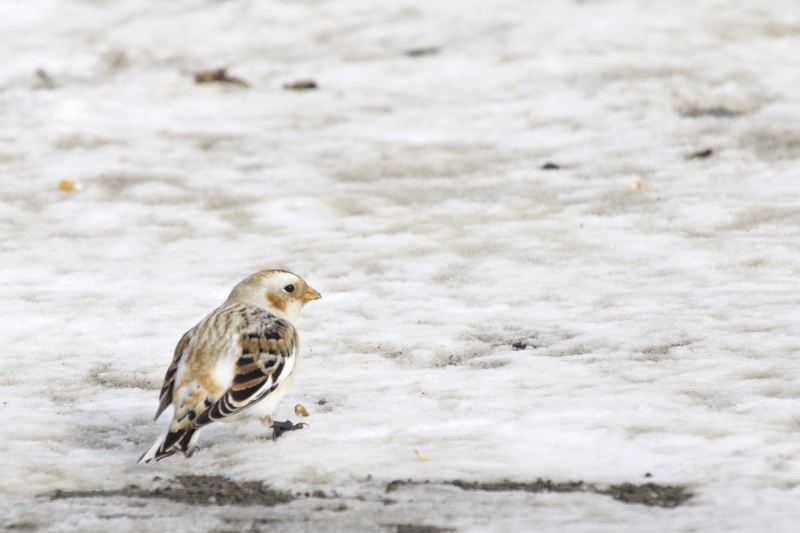 After Karen Miller and I tried unsuccessfully for the Ulster County Gyrfalcon in the morning, we decided to head back to the black dirt region to try for Snow Buntings. 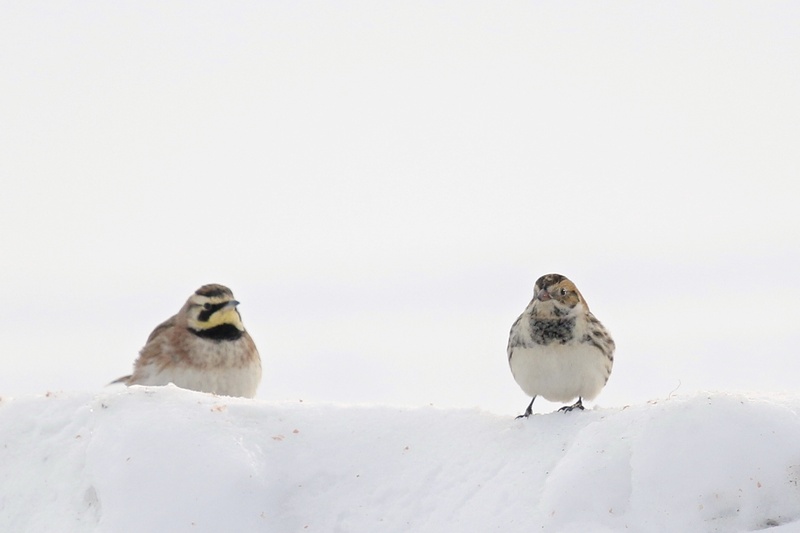 We did well, finding 6 in a flock of approximately 75 Horned Larks. 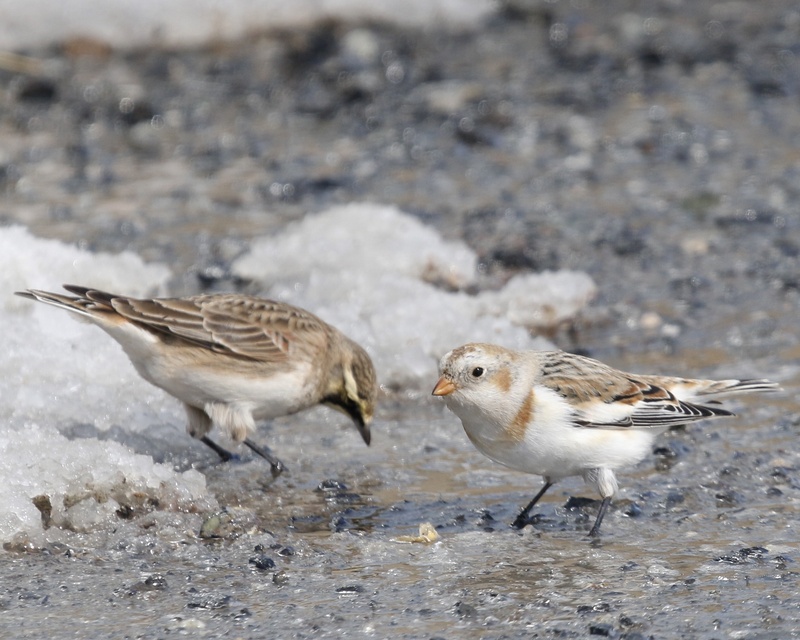 Then, today after work I received a text from Linda Scrima who had a couple of Lapland Longspurs in the black dirt. I met her out there and took some photos before heading over to the Wallkill River NWR Liberty Loop viewing platform, where it was relatively quiet. For the first time in a long while I did not see any Northern Harriers. 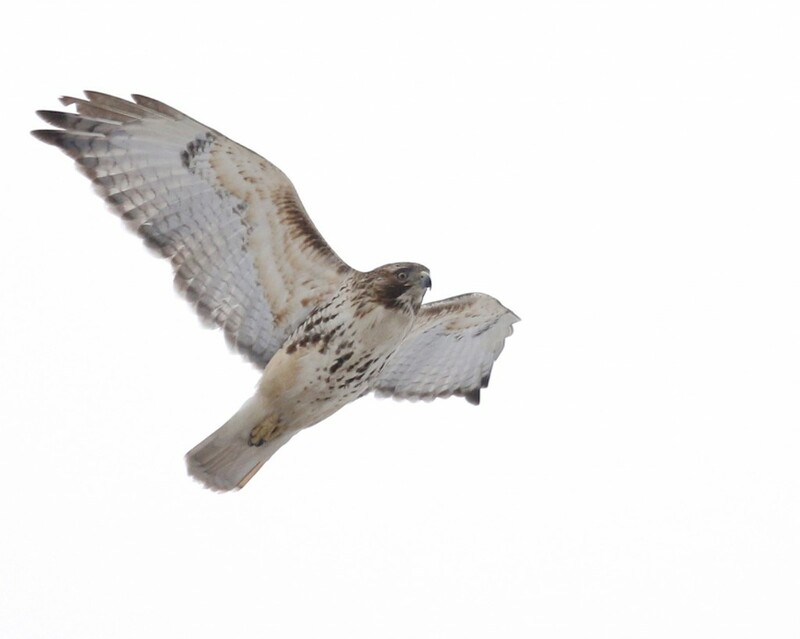 We did get good looks at a dark morph Rough-legged Hawk, one distant Turkey Vulture and several Red-tailed Hawks. It was getting pretty dark when the Short-eared Owls got up; I counted four of them. 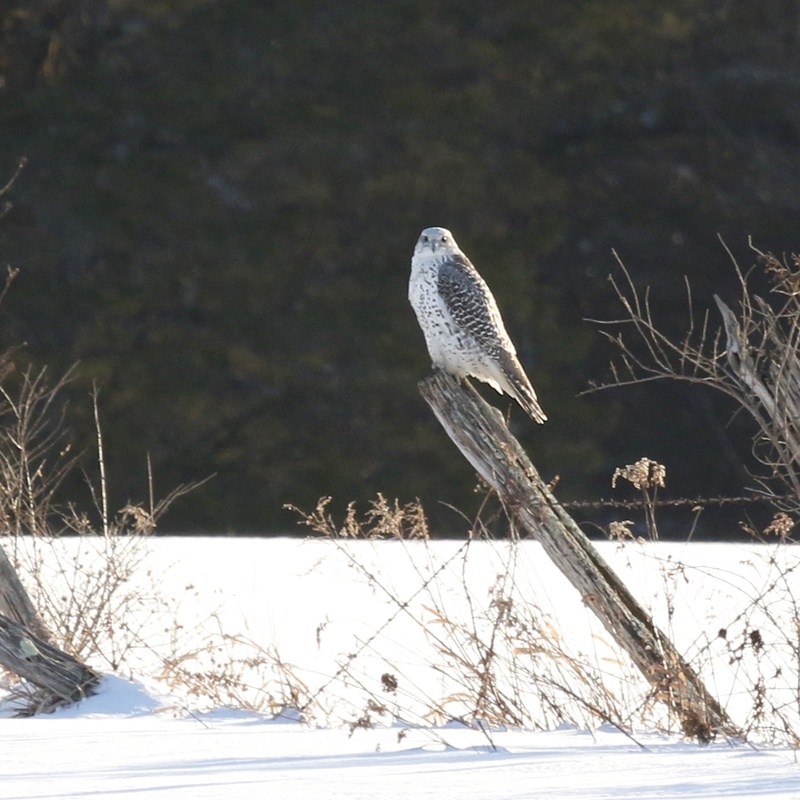 ~The Ulster County Gyrfalcon on a nice perch on Bruyn Turnpike in Wallkill, NY, 2/10/15. I received word from Denise Farrel that the Gyrfalcon had been relocated for the fourth straight day while I was at work today. It was a beautiful day out with nice light, so I headed up to Ulster County right after work to see if I could see the bird. I knew when I saw the first traffic jam ever on Bruyn Turnpike that I would indeed be able to see the bird. The bird was perched on a fence post way out in a field, where it stayed for some time but then eventually headed back north. Karen Miller had also come straight from work and finally caught up with the bird (third times a charm). We both went to the Grasslands to see what was going on there, but there was not much activity, just one distant Rough-legged Hawk. 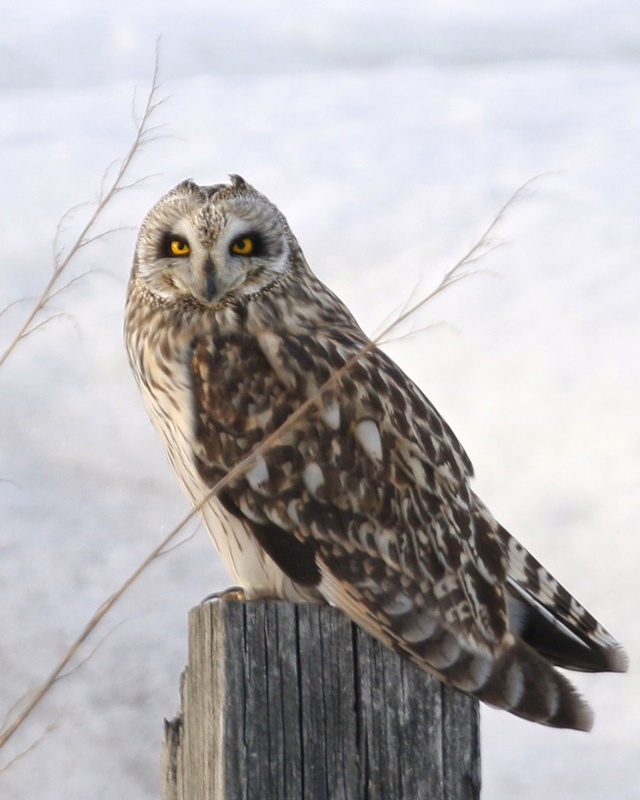 After Karen left, I sat with Ralph Tabor and we waited for the Short-eared Owls. It was a gorgeous night with a fabulous sky and although they got up a little late for photos, Ralph and I enjoyed watching 7 Short-eared Owls put on a nice show. What a great way to end the day. 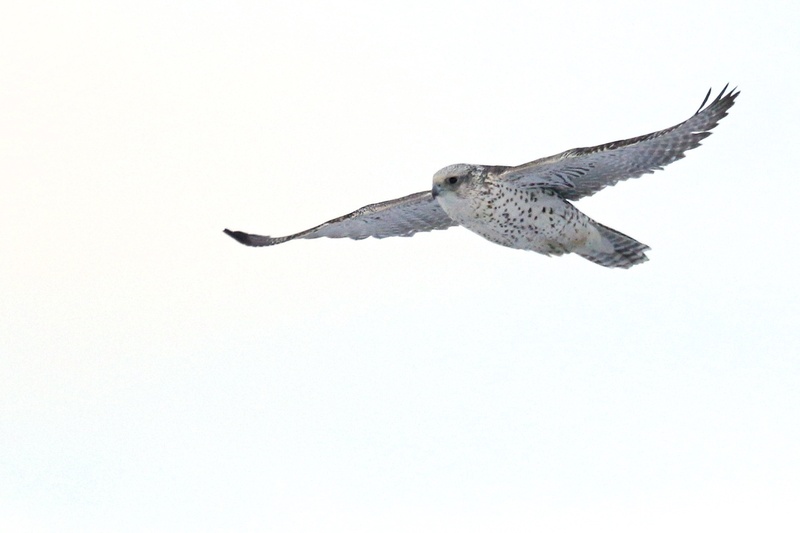 QUICK POST: I was not out there to witness it myself, but the Gyrfalcon continues in Ulster County. 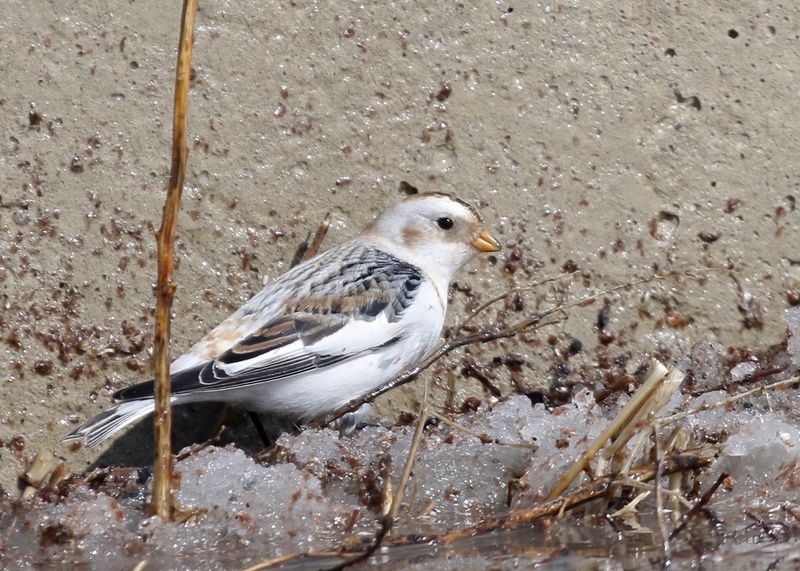 It was relocated in the same area as yesterday early this afternoon and apparently many birders (100+?) were present to see the bird. Does this mean the bird might stick around for a while? We shall see…either way, it’s very exciting and congrats to all who got to see the bird! I had slow start to the day birding-wise. I joined Ken Witkowski and we headed up to the town of Hancock in Delaware County, NY. We were participating in a Golden Eagle Survey and due to the weather most likely (we had snow showers on and off), we had a very slow day with very few raptors and no Golden Eagles. It was still a great morning; Ken is very knowledgeable and super interesting to talk to. 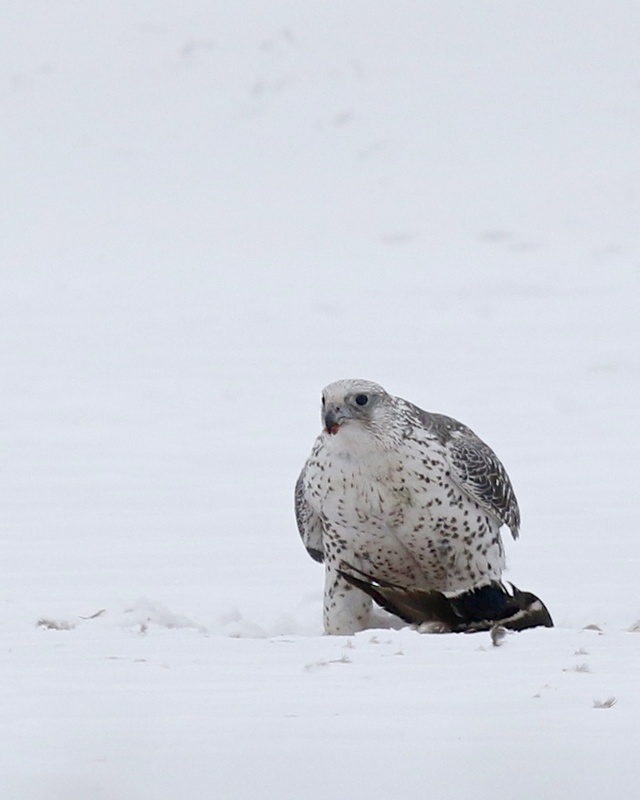 I got back to Goshen just before 2:30 and immediately headed up to Ulster County to try for the Gyrfalcon that had been located by Karen Maloy Brady the day before (huge thanks Karen!). 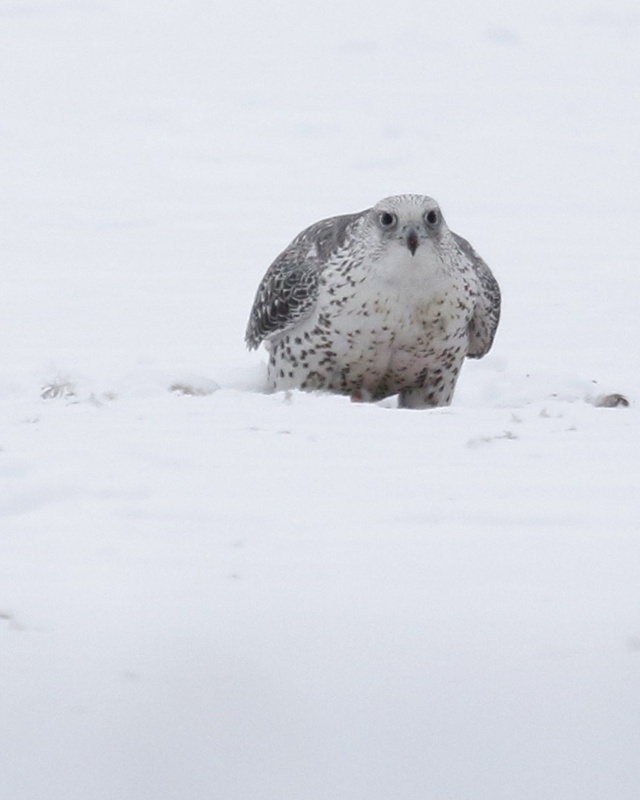 On the way I spoke with John Haas to see how the morning had gone – apparently there were plenty of birders out looking for the falcon, but the search had been unsuccessful. I wondered if it was worth the trip up there, but then I figured the worst thing that could happen would be that I didn’t locate the bird and then headed over to the Shawangunk Grasslands NWR to go for the Short-eared Owls. So, I decided to try for it and boy am I glad I did. There is a saying that it’s better to be lucky than good. Well, boy did I get lucky. As I was nearing Bates Lane (which is where the bird had been seen the day before), I noticed a perched bird in a tall evergreen tree. 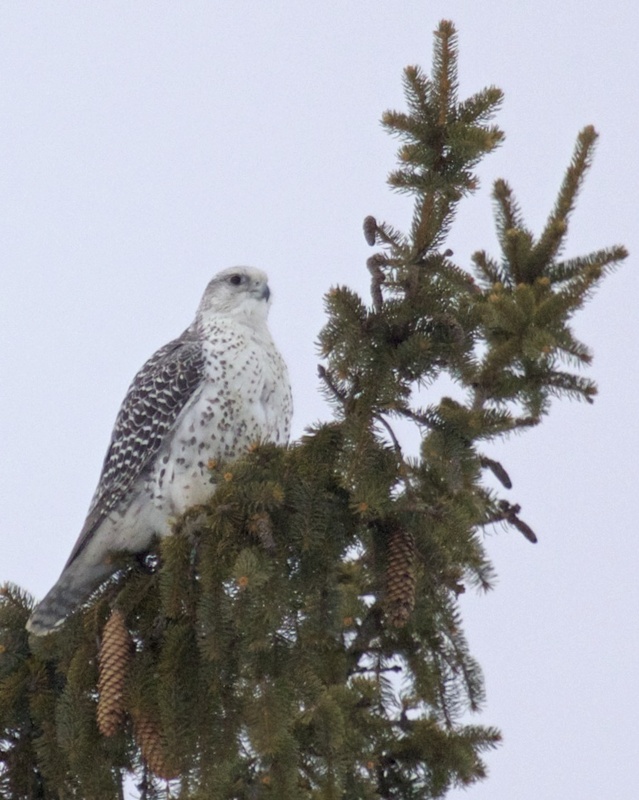 I stopped and took a quick look through my binoculars and nearly had a heart attack – it was the GYRFALCON! I took some quick photos and then put the word out; I was praying that the bird would stay put for others to see. The falcon had other ideas and after some time flew from its perch, heading north and over a little hill where I lost sight of the bird. Less than a minute later Curt McDermott showed up and I explained the situation. Curt relocated the bird inside of 5 minutes just north of where I was on Old Fort Road, and it was on a fresh kill! 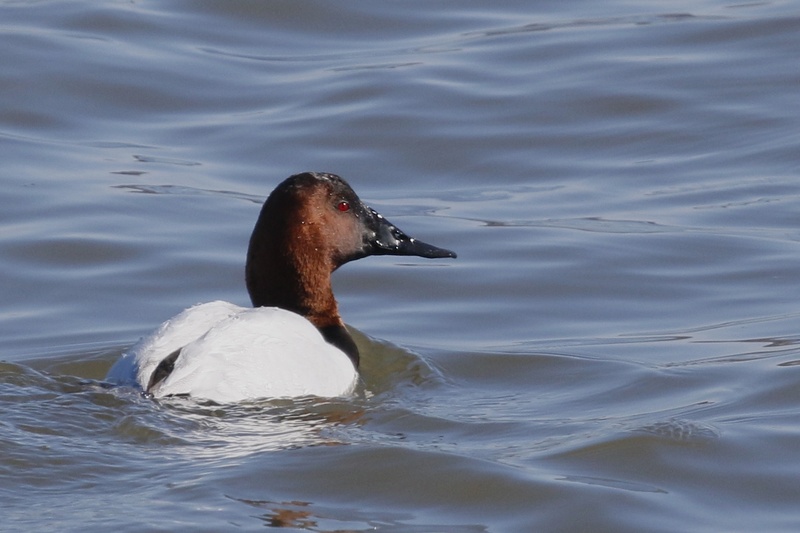 Many birders arrived (I would guess between 40 and 50) and got to see this beautiful creature. The falcon finished its meal, and then returned to its perch on the evergreen, then to a telephone pole on Old Fort Road where it stayed for a good while. Just after 5:00 the bird was flushed by a Red-tailed Hawk and headed north. The Gyrfalcon was life bird #317 for me. 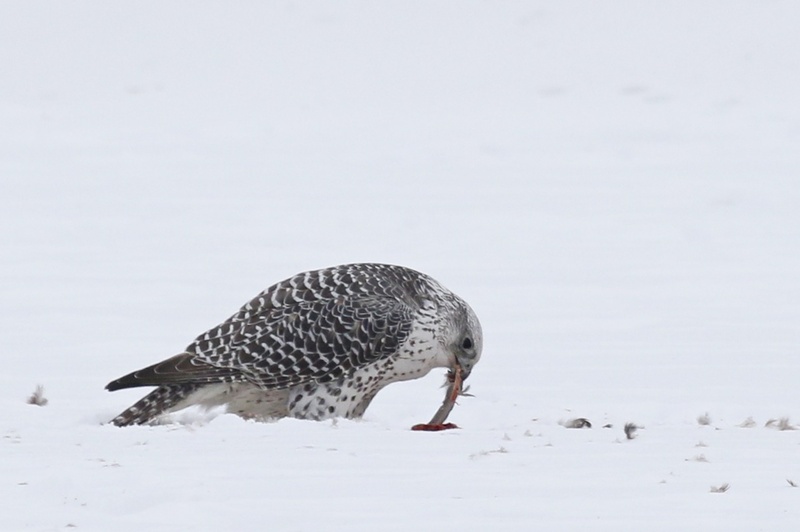 What an exciting afternoon of birding, one I will never forget. 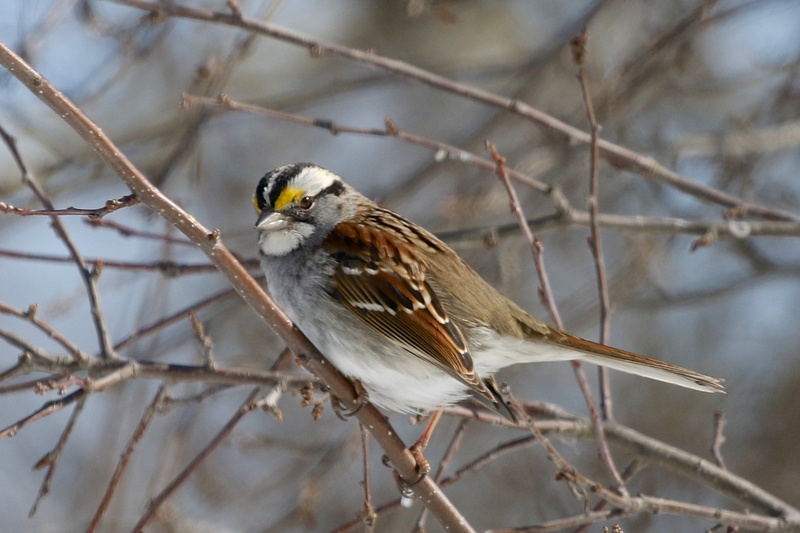 And what a magnificent bird – really and truly remarkable. 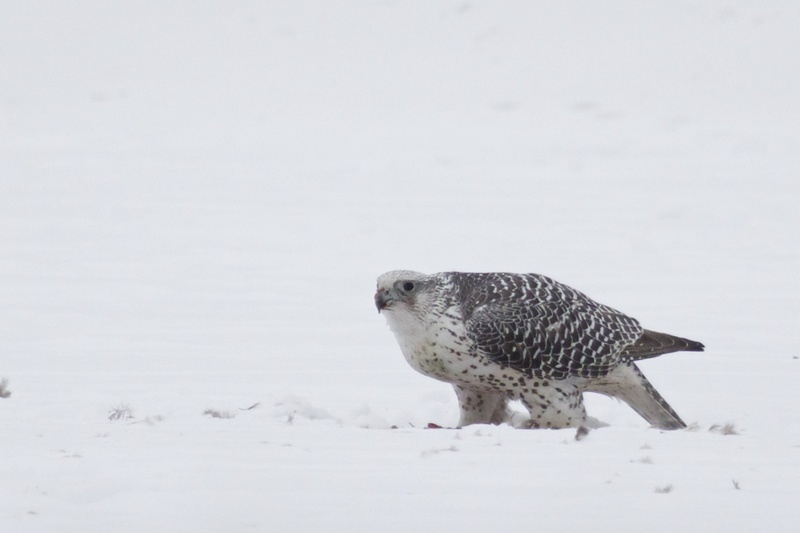 Author mattzeitPosted on February 7, 2015 February 9, 2015 Categories Raptors, Rarities, Ulster County33 Comments on WOW – GYRFALCON!! !